The devastation and terrible suffering caused by the armed conflict in Yemen is a matter of great concern. Conflict, economic collapse, and rising food prices are continuing to push the civilian population into hunger and malnutrition. As Chairperson of the Committee on World Food Security (CFS), the United Nations (UN) platform that strives for a world free from hunger, I cannot remain silent while 20 million Yemenis are food insecure, including 1.8 million acutely malnourished children. Unless urgent action is taken, a whole generation of Yemenis is at risk. I am writing to strongly urge you to take immediate action to keep the international pledge to protect the civilians of Yemen from further devastation, to relieve them from their suffering and to prevent further damage to their livelihoods. The latest report on the State of Food Security and Nutrition in the World shows that hunger and malnutrition are mainly driven by man-made conflicts and the consequences of climate change. 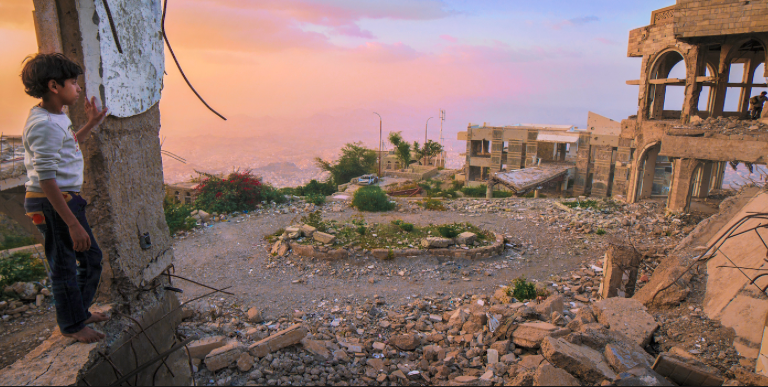 The on-going conflict in Yemen is disrupting food systems and livelihoods, while preventing humanitarian assistance from getting through to those in need. As I write, three out of four Yemenis cannot reliably produce or buy food. I wish to join UN High Commissioner for Human Rights, Michelle Bachelet, in calling on all those with involvement or influence in the Yemeni conflict to allow and facilitate the rapid and unimpeded passage of food and other humanitarian relief, and to refrain from taking actions that would deprive civilians of their access to life saving food, water, and health care. The Inter-Agency Standing Committee (IASC) is coordinating emergency and relief responses, including the provision of health care to 8 million people in Yemen. Additionally, more than 7 million receive food aid and a similar number is given clean water and sanitation support. I urge all CFS stakeholders, the whole UN System and the international community at large, to do everything they can to coordinate efforts while supporting IASC in mobilizing the necessary resources so that emergency and relief activities can meet the needs of the population of Yemen. In addition to saving lives and meeting immediate needs through emergency humanitarian responses, we need to start planning for longer-term assistance to support recovery, build resilience and promote sustainable socio-economic development in a post- conflict Yemen. CFS has created policy recommendations that can be put to use in this juncture, especially the Framework for Action for Food Security and Nutrition in Protracted Crises (CFS-FFA). Due to the multi-stakeholder nature of CFS, policy recommendations provided by the CFS-FFA have wide legitimacy and reflect a global consensus between governments, UN agencies, civil society, the private sector, academia, research centres, philanthropic entities and other stakeholders on improving the food security and nutrition of people affected by protracted crises such as the one ravaging Yemen. The CFS-FFA sets out principles for addressing existing humanitarian crises and for addressing their underlying causes. I also echo the calls for assistance from the UN Secretary-General and leaders of UN agencies, and strongly urge all stakeholders, public and private, to come together in applying the principles and actions laid out in the CFS-FFA. We can still avert widespread famine in Yemen. The children, women and men of Yemen need our help now!